It was important for me to push my limits…to expand my comfort zone. In All Ages, Globe Books asks authors to dig deep for memorable books that span their lifetime, from childhood to what’s on their reading list right now. Read Johanna Skibsrud's response here. You can listen here to Skibsrud speaking to Tom Power about her new book, Tiger, Tiger, and how winning the Giller Priz in 2010 for her debut novel The Sentimentalists changed the course of her career. 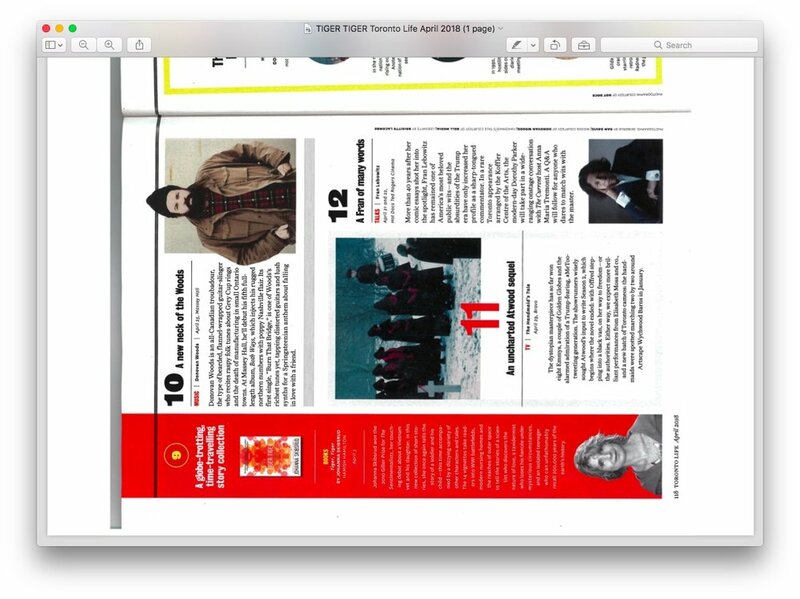 Tiger, Tiger selected by Toronto Life as one of the most exciting cultural items of the moment (March 2018). When scientists discover a young girl has an exceptional memory, she is forced to be a back-up information drive, saddled with over 200,000 years of human knowledge. But is the load too heavy?